The Unmounted Life Skills Programme focuses on learning a range of skills aimed at developing and extending self-confidence, responsibility, self-esteem, participation and enjoyment, social engagement and interaction, recreation and vocational skills. 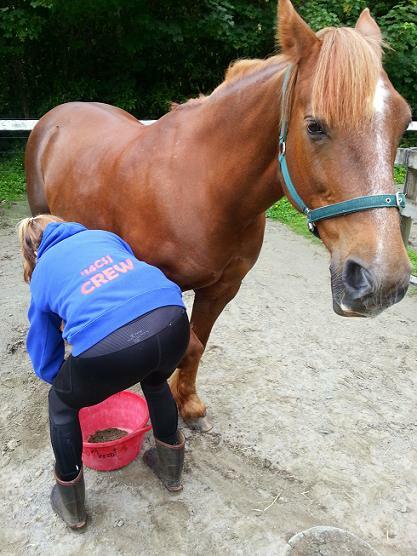 The programme involves on the ground horsemanship skills including learning about: safe handling of a pony, grooming and picking up feet, leading a pony, feeding, general care of a pony, gear and tack and correct fitting. Sessions occur on a weekly basis for up to 60 minutes in length, depending on the level and ability of the client/s. We use skilled professional coaches for our programme to ensure a high degree of safety and quality learning. The Unmounted Life Skills Programme caters for individuals and groups, and is most suitable for those aged 8 years and older. The Programme is ideal for those with mental, physical and intellectual/multiple challenges that make it difficult to participate in the therapeutic riding programme. It is available to school groups, IHC and Idea Services clients, mental health clients and individuals, private trusts, CCS clients, and supported workplace providers. Acceptance of any person in the programme is dependant on a number of factors and a medical consent from a doctor is required prior to participating in the programme for health and safety reasons. Fees are $200 (GST inclusive) per term. Membership is also compulsory for all riders. The Membership Subscription is $15 (GST inclusive) per year for Individuals, $35 (GST inclusive) per year for a family, and $50 (GST inclusive) per year for a corporate/school membership. Corporate membership covers all students of a school or group that participate in the programme. Membership forms and fees are due in February each year. An invoice is posted out at the commencement of each term for ride fees and payment is required within 30 days. At least one Terms’ notice will be given regarding any change in the above fees. Clients may be able to apply to have their fees subsidised by funding made available through MSD, ACC, WINZ, CYFS, MoE, MoH and Te Puni Kokiri. If you are interested in our Unmounted Life Skills Programme we initially ask you to fill in our WRDA Referral Request Form. Once a placement becomes available, we then request our WRDA Medical Consent Form to be completed by your Doctor. Several other consent forms require a parent or guardians signature of consent, and a start date is organised. 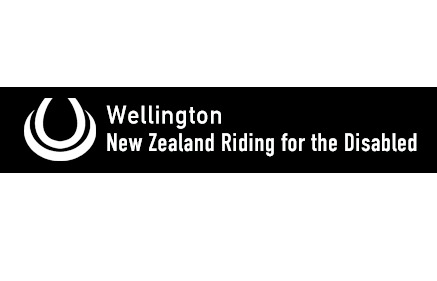 For more information please contact Wellington Riding for the Disabled Association Inc. Original generation time 1.2013 seconds. Cache Loaded in: 0.0589 seconds.